The Mark II is one of the best selling knives of all time. First introduced in 1966, this tactical knife is serialized for collectors. This 40 year-old jewel features a black oxide coated 420 HC double serrated blade and die cast aluminum handle. It also comes with a ballistic nylon sheath. Black Oxide Coated 420 HC Double Serrated Blade. Excellent Knife! I have the Mark 1. This Mark 2 is every bit as good! Gerber keep up the good work! Thanks Kennesaw cutlery! Always excellent service! Excellent product! Have owned two of the smaller versions, one for over 30 years. Takes and holds an edge quickly. Wish they would re-introduce a non-serrated model like the original. Then I would be purchasing another fine product! My first investment as a combat knife and carried all through my tour in the Marines from 1977-1987. Then became my standard belt knife while a contractor in the Dominican Republic when other fixed blade knives were too large or heavy. This blade will break before it bends. Can be sharpened to razor edge and keeps it through heavy use. Will even open tin cans when no can opener is available. 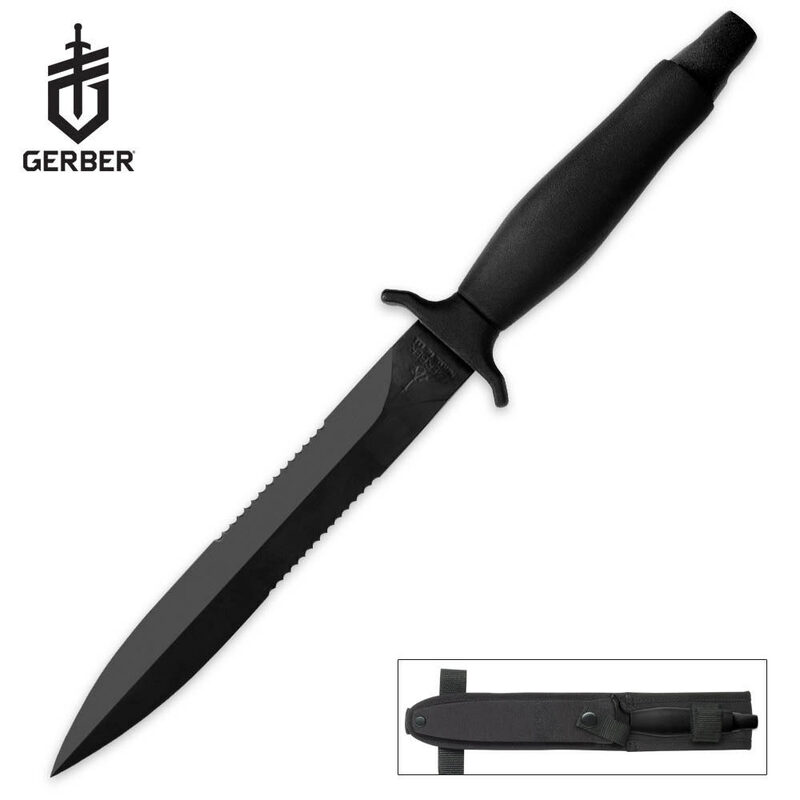 Worth the investment if you need this style of knife and Gerber has always been known for its quality knives. I carried one of the original issue of this knife in 1968,69 and 70. it was a very useful blade then and if they have not futzed with the blade steel(it was tool steel) then it should be a good knife now.